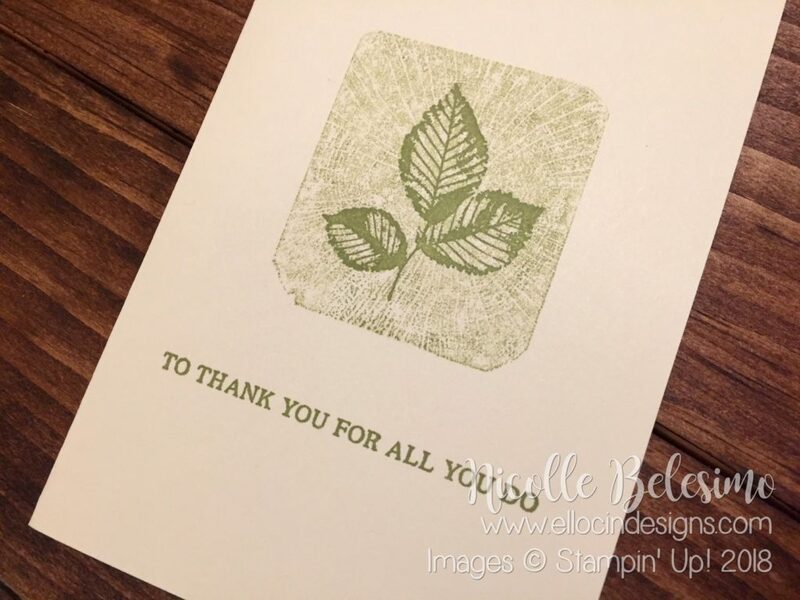 In yesterday’s post, I gave a brief introduction to Stampin’ Up’s new campaign for 2019: Simple Stamping. 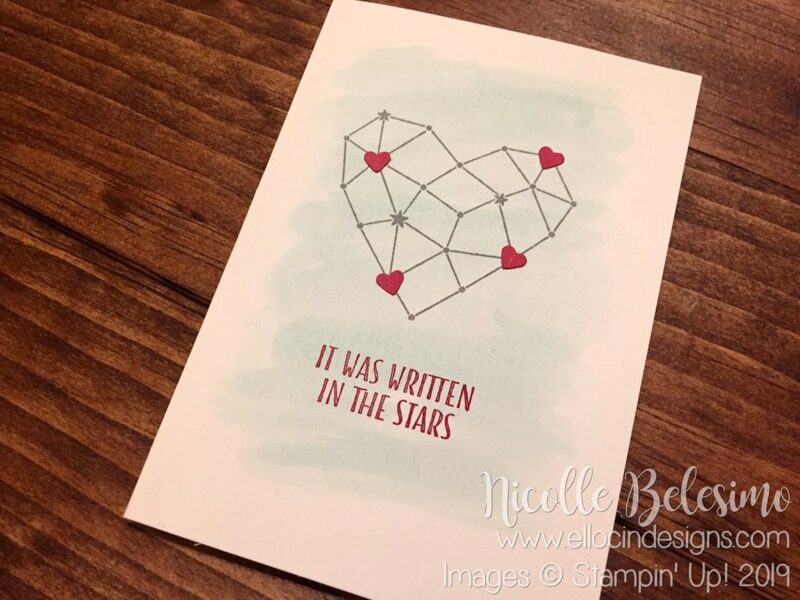 The goal of Simple Stamping is to introduce stamping to beginning stampers and help them learn and build confidence in creating beautiful cards and projects with only very basic stamping supplies. 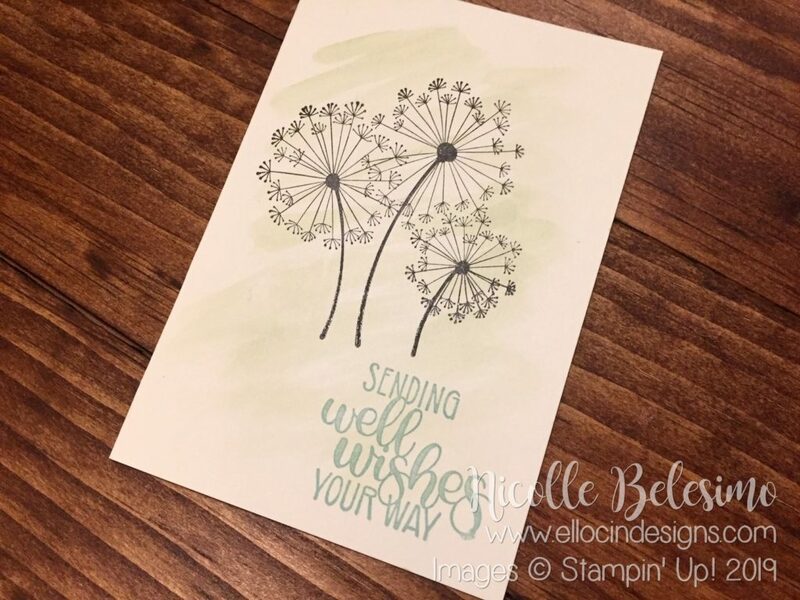 For a card to be considered a Simple Stamping card, it must only use three products: a notecard for the base, ONE stamp set, and ink. That’s it! 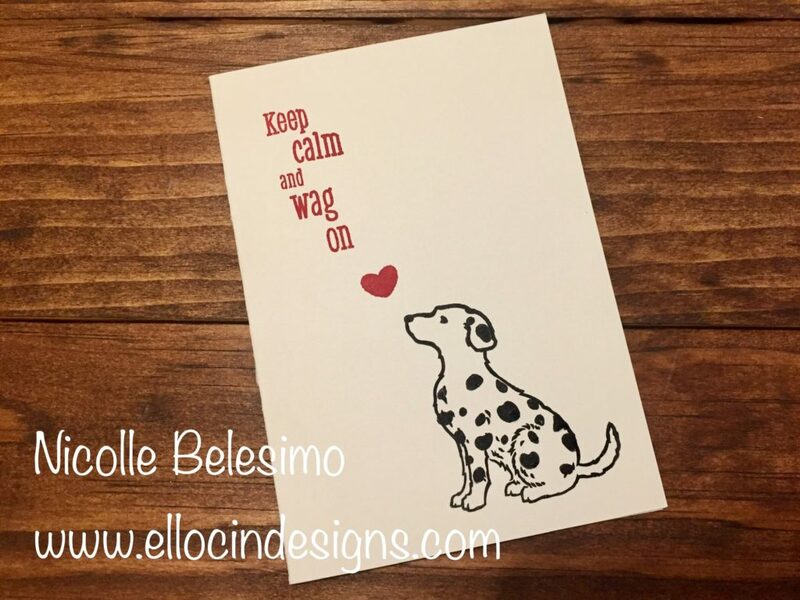 No layers, no embellishments, no punches, dies, or other decoration, no Designer Series Paper…just the three basic supplies mentioned above! 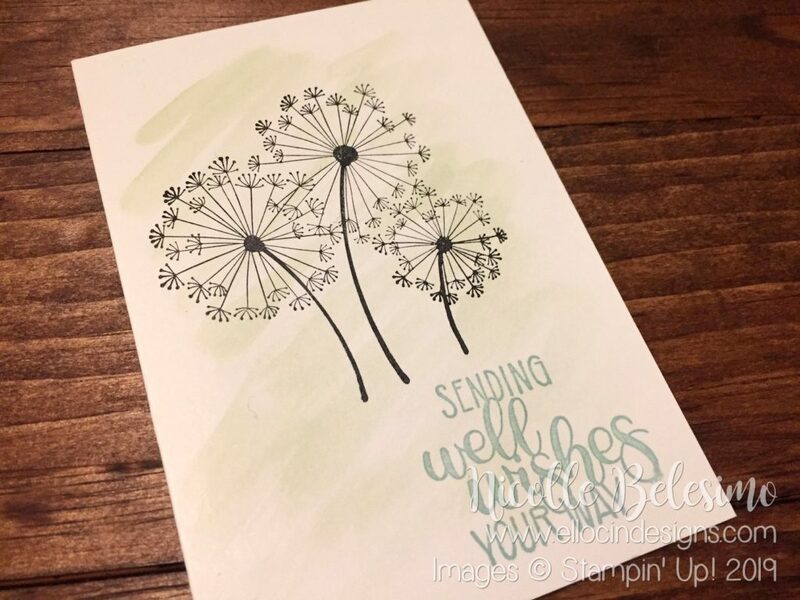 For an avid crafter who has been stamping for a long time and likes to embellish everything, the thought of doing something so simple is surprisingly daunting! But looking at it through the eyes of a beginner makes it a little easier to understand the premise behind it! 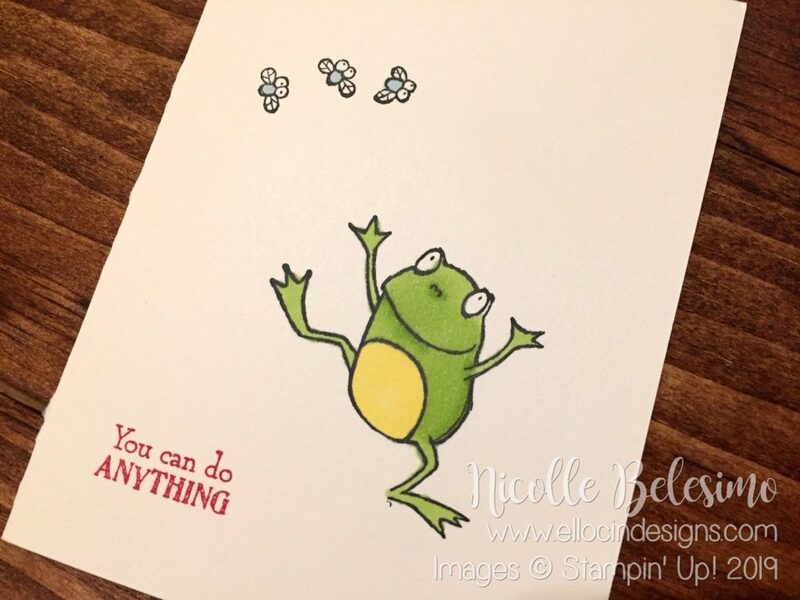 My card today is my very first attempt at a Simple Stamping card, and I made it according to guidelines set forth by Stampin’ Up! for a December Challenge. (Nothing like waiting until the last minute, right?!) 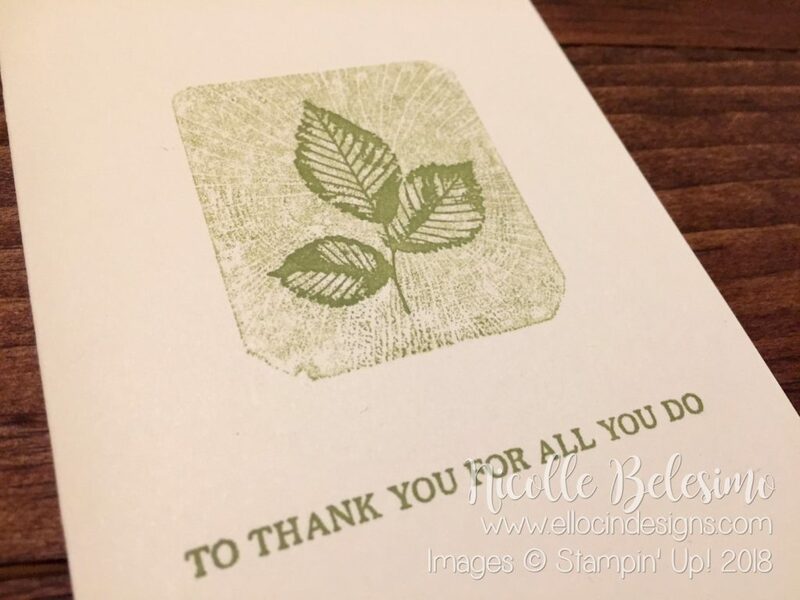 The guidelines for this month’s Simple Stamping challenge were to make a thank you card using only one stamp set from the Annual Catalog. 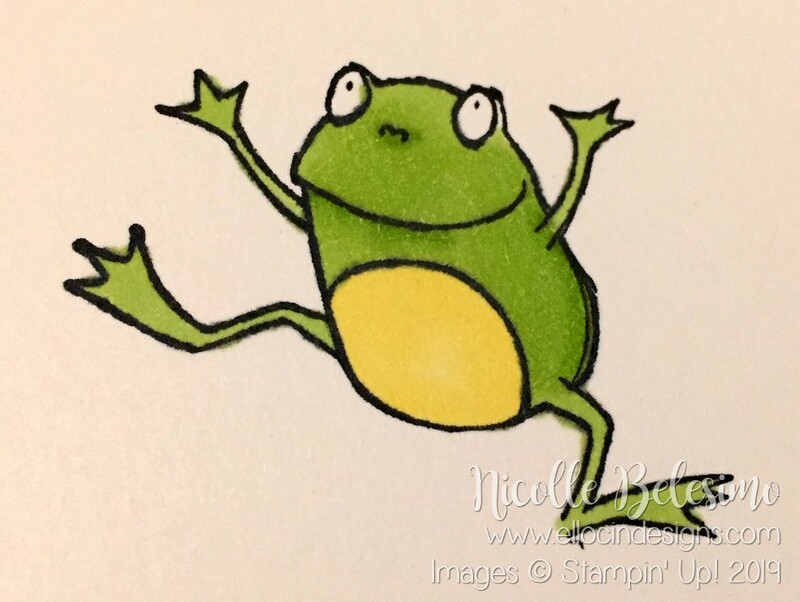 My first thought was that I could also only use one color ink, but I found out after I had already completed the card that I could have used multiple colors. Oh well! I am still really happy with the final product! 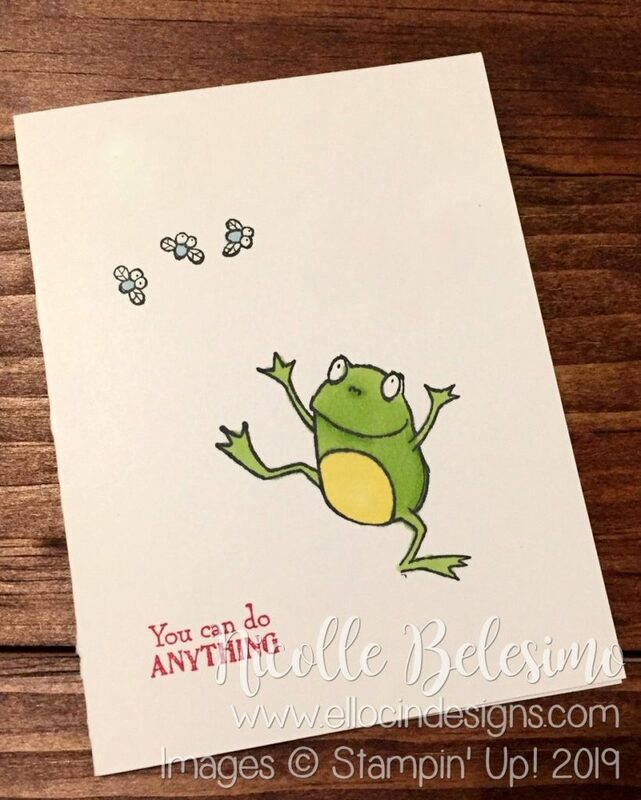 I LOVE monochromatic cards, especially in green, as it is my favorite color! 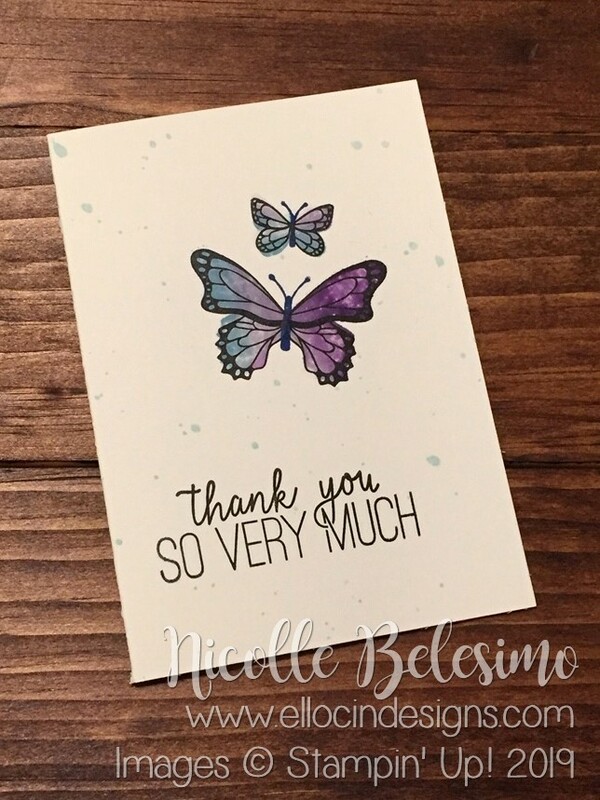 For this card, I used a base from the Very Vanilla Notecards and Envelopes. These cards come 20 to a package, and come with matching envelopes. (They are also available in Whisper White!) The notecards are slightly smaller than a regular size card. 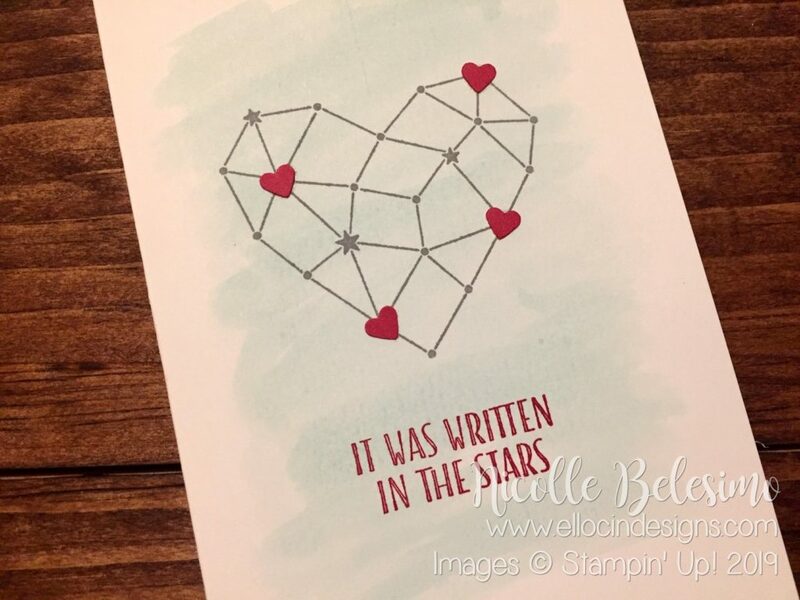 They measure 3-1/2 x 5 inches in size, as opposed to the full size of 4-1/4 x 5-1/2 inches, but there is still plenty of room to make a beautiful card! 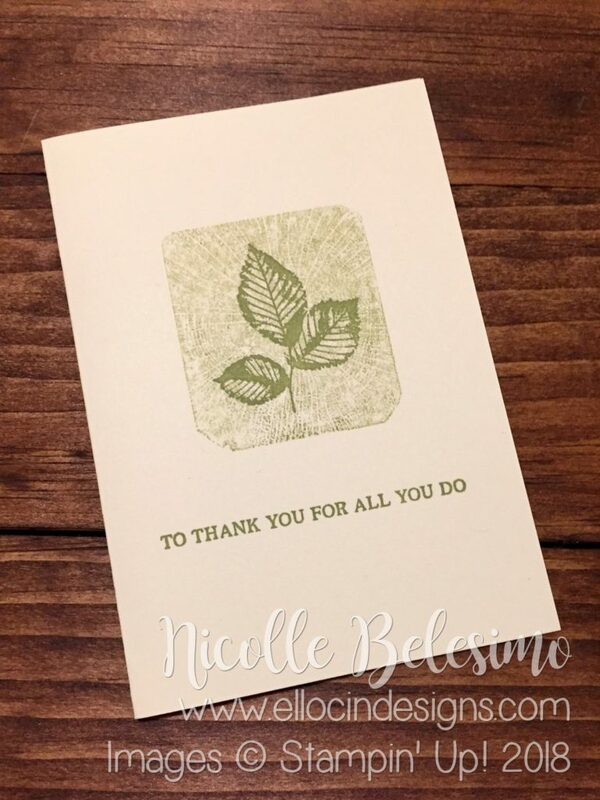 I also used the Rooted in Nature stamp set and Pear Pizzazz ink. 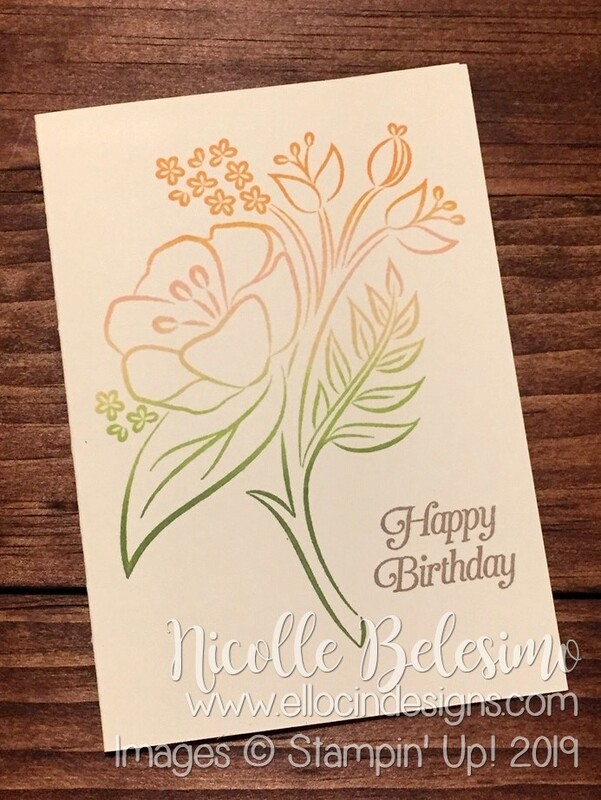 To dress this card up just a tiny bit, I used what’s called the “Kissing technique” to make the background behind the leaf image. 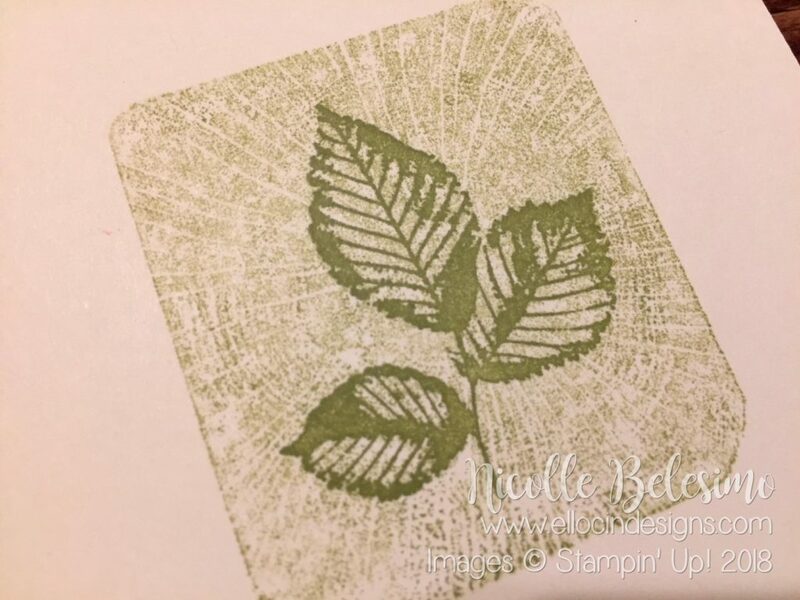 In the stamp set I used, there is a large stamp of a cross section of a tree. I inked it up with the Pear Pizzazz ink, then stamped it off once, as I didn’t want it to be too dark. I then took my Clear Block C and pressed it onto the stamp to transfer the ink from the stamp to the block. Because the ink was coming off a stamp, not only did the ink transfer, but the pattern of the stamp also transferred! (This is the “kissing” part of the technique.) 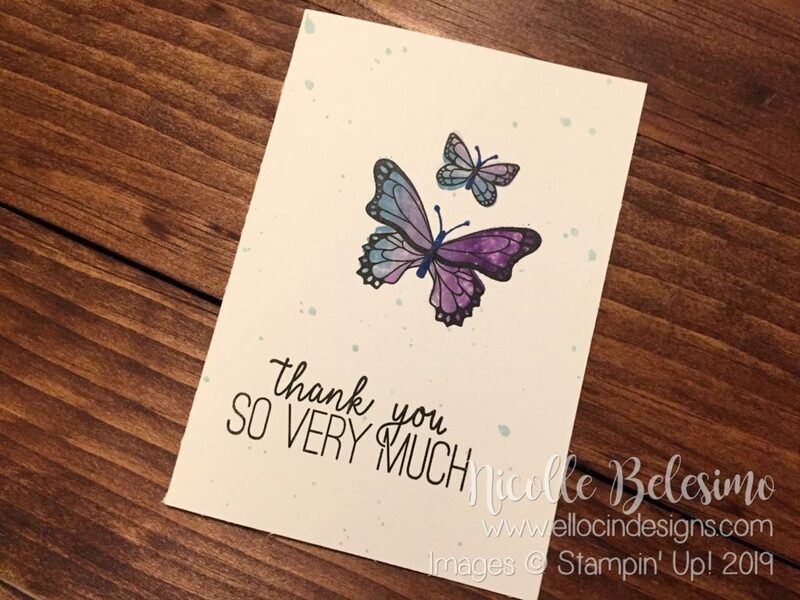 I then stamped the block directly onto the notecard. 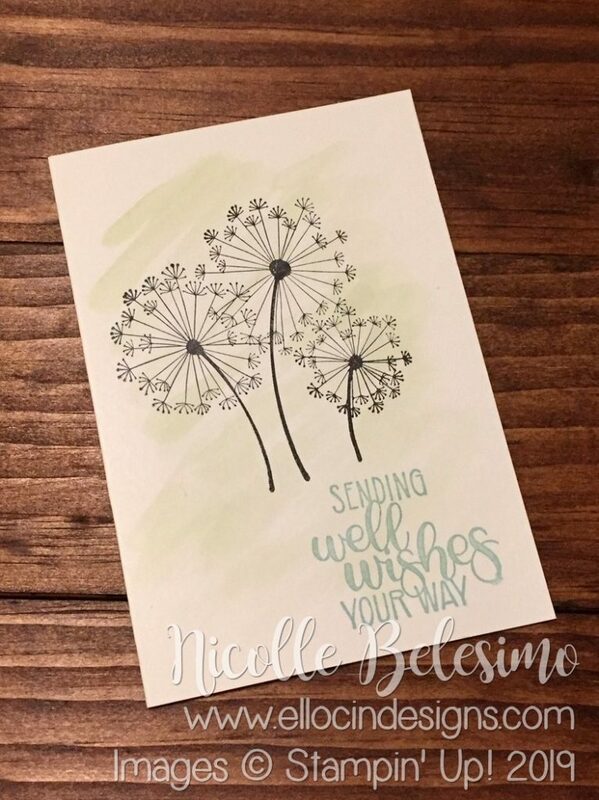 Once it was dry, I stamped the leaves in full strength ink, as well as the sentiment underneath it. And the card was done! I will admit, my first instinct after finishing this card was to reach for some sequins and Wink of Stella! 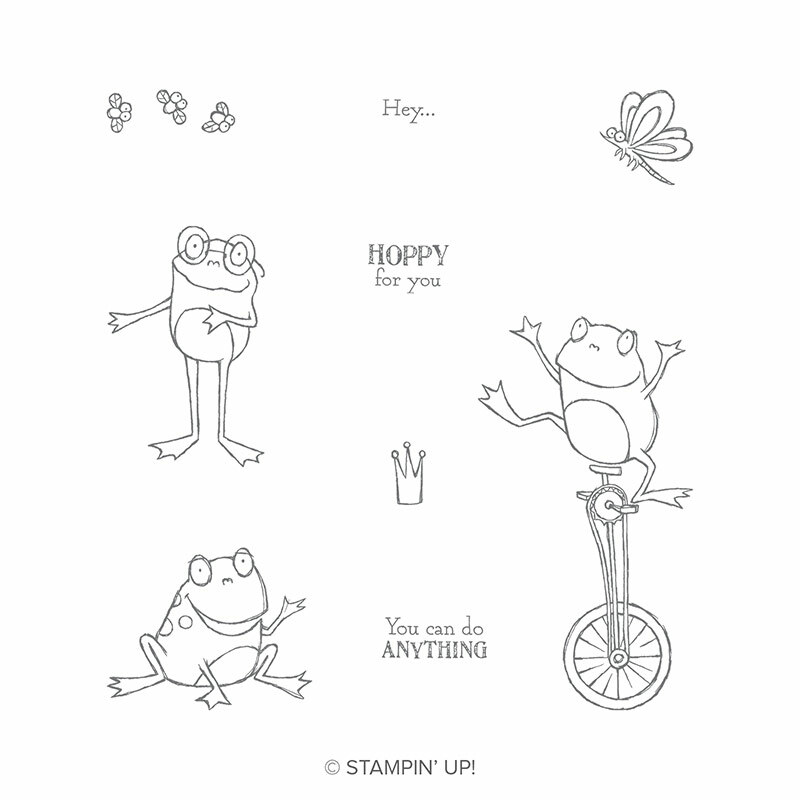 But per the Simple Stamping rules, I was good and did not add any! (Though it was really hard not to!) My normal style tends to be pretty simple anyway, but this is so much simpler than what I usually make. 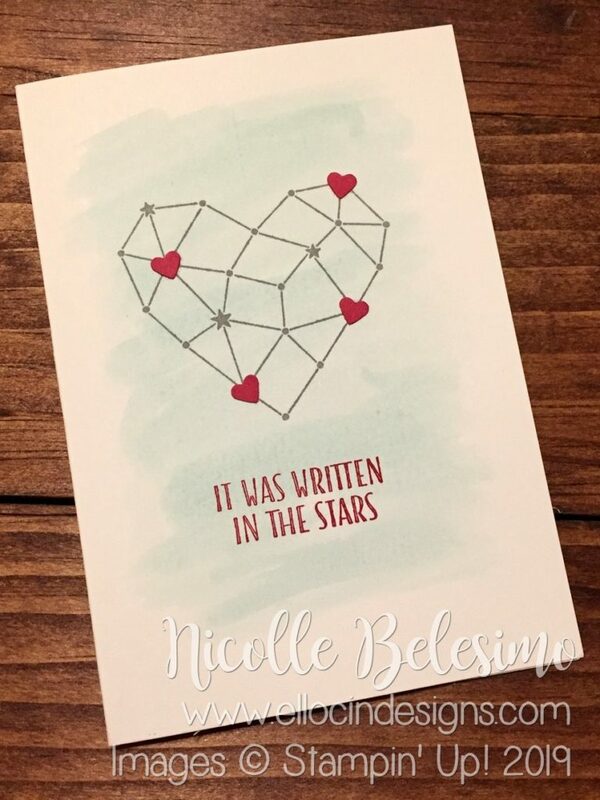 I do love the simplicity of this card though! 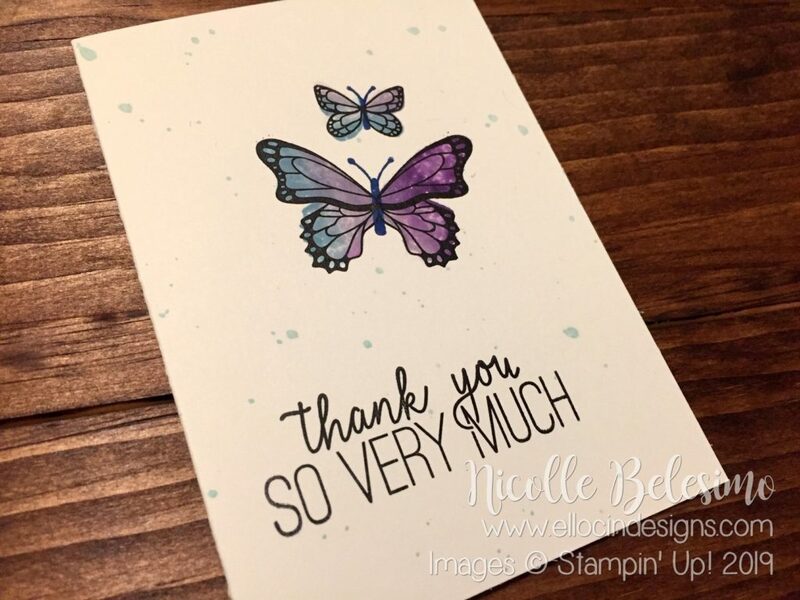 I hope you will consider giving Simple Stamping a try! 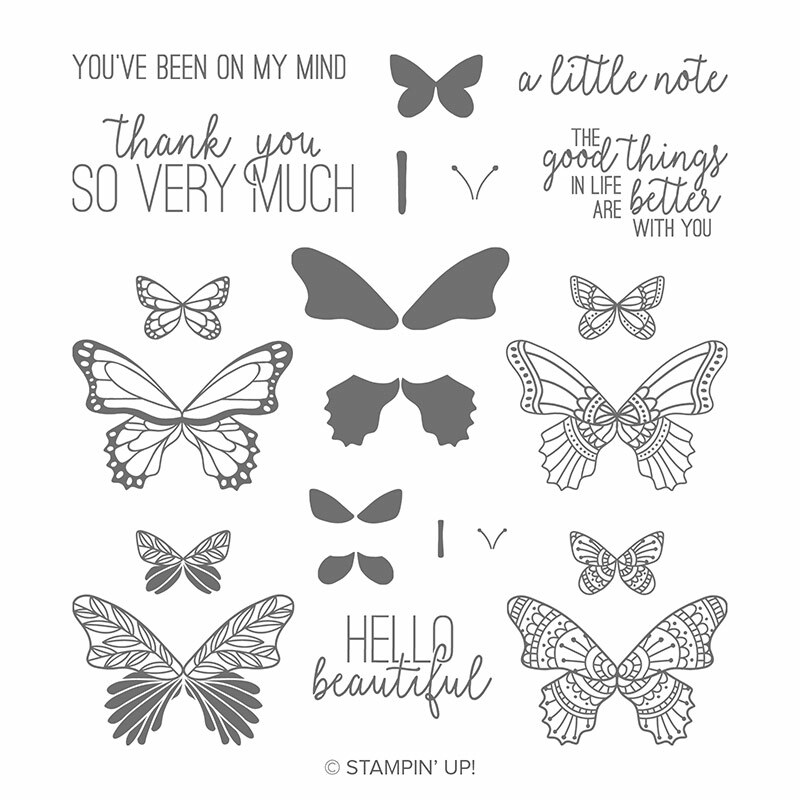 Not only is great for new stampers, it’s also great when you need something fast. 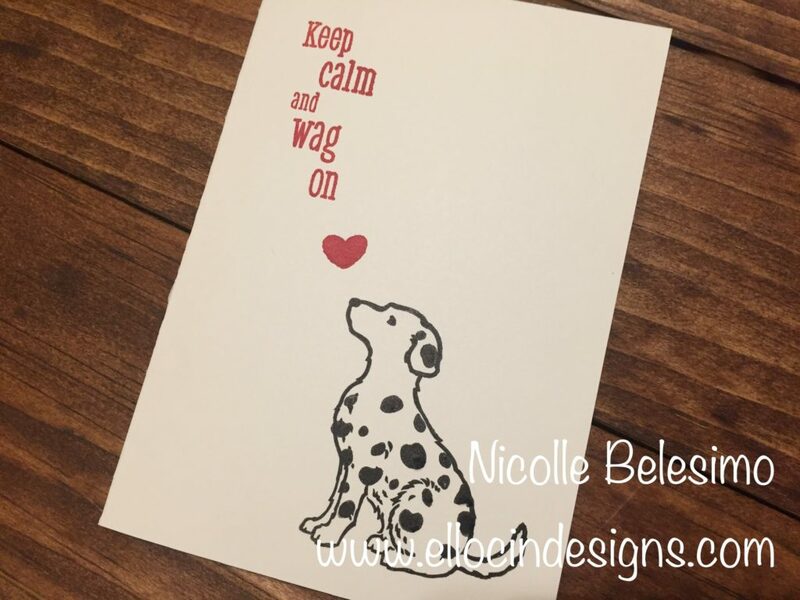 I made this card start to finish in less than five minutes (and that includes stamping the envelope too)! Please let me know if you have any questions! Thanks for visiting!